Give the gift of fitness to yourself, a friend or family member this holiday season! Don’t miss out on the perfect stocking stuffer for a current member or patient. Get our Athletes’ Training Center water bottle and cinch pack combo for $7. Stop by the front desk to purchase. 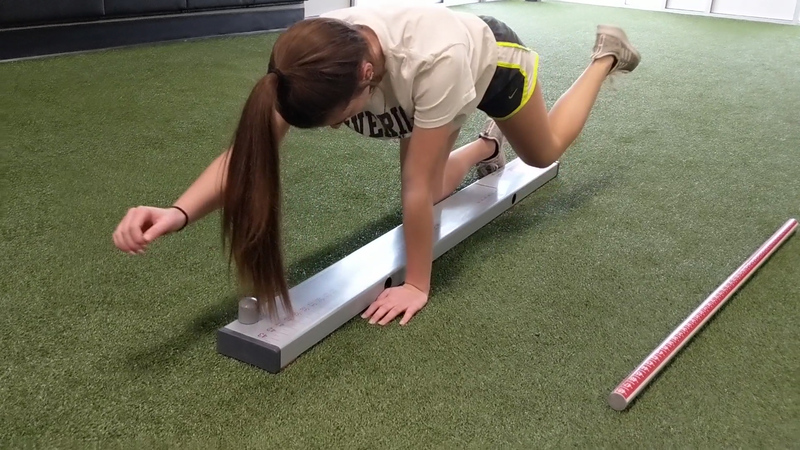 Take the guesswork out of your training by using our coaches’ expertise to design your strength training program. 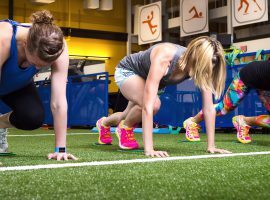 Our Program Design services include an evaluation and goal setting session, four week strength program, and follow-up support and it’s only $75! (reg. $99). It’s the perfect gift for anyone looking to start their New Year’s resolutions. The perfect gift for any GOLFER! For only $59 (reg. $79) you will get an evaluation with a Titleist Performance Institute certified coach. Following your evaluation you will receive a review of findings, drill instruction and a take home packet to begin working on enhancing your golf swing. Check back each day between December 3rd through December 8th to see new deals added daily. All deals will expire at 5pm on 12/15/18. To Purchase: Contact Danielle at 402-932-7111 or dkleber@athletestrainingcenter.com. The Fine Print: All trial membership offers must be gifted to individuals who are new members or have not had a membership in the past 24 months. This entry was posted in News on December 3, 2018 by Athletes' Training Center. 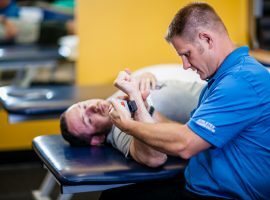 Physical therapy is among the safe and effective alternatives to opioids recommended by the Centers for Disease Control and Prevention for the management of most non-cancer related pain. Whereas opioids only mask the sensation of pain, physical therapists treat pain through movement, hands-on care, exercise, and patient education. 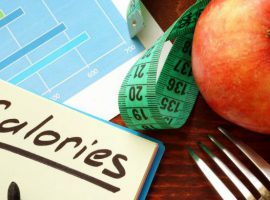 A study following 20,000 people over 11 years found that those who exercised on a regular basis, experienced less pain. And among those who exercised more than 3 times. This entry was posted in News on October 4, 2018 by Athletes' Training Center. * Represent the company with a professional appearance and an upbeat attitude to clients, patients, physicians, case managers, and other staff members. * Prioritize daily work tasks in a busy office while still providing outstanding customer service to clients and patients. * Apply focus and precision to administrative tasks including data entry, schedule maintenance, and insurance-related activities. * Be responsible for maintaining a positive impression every time someone enters the facility by keeping the lobby clean and organized, keeping an organized workspace, and engaging clients and patients in a friendly manner. Additionally, the applicant must be a self-motivated and social individual who can also pay attention to detail and is teachable. They should have the ability to follow through on systems, be able to consistently exceed expectations, work well in a team of energetic professionals, and be willing to learn and follow company philosophy. A high school diploma is required and two years of college and/or technical school training is preferred. Familiarity with insurance or medical terminology (or similar medical experience) is helpful, but not required. 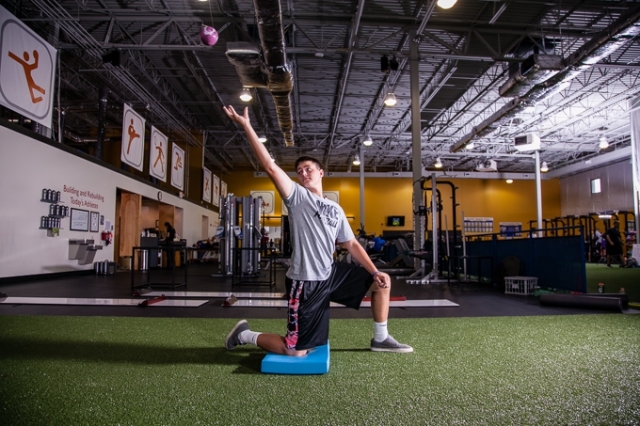 Athletes’ Training Center Sports Performance & Physical Therapy is a progressive group of physical therapy and performance experts working to provide the most up to date therapy and performance programming options for their patients and clients by striving to stay ahead of current research, continuously enhancing their skills through continuing education and self-motivated acquisition of new knowledge, and an energized approach to patient and client care. 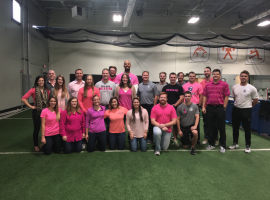 If you believe you are the ideal candidate, please email a letter of application and resume to jobs@athletestrainingcenter.com or mail your materials to Danielle Kleber, Athletes’ Training Center, 13809 Industrial Road, Omaha, NE 68137. This entry was posted in News on October 3, 2018 by Athletes' Training Center. Our Summer Transformation Challenge winner, Lori Storz, stopped by to pick up her $550 grand prize this morning! 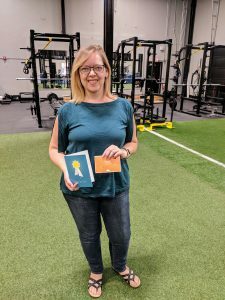 Over the course of 3 months Lori lost 19 lbs and what is even more impressive is she lost over 4% of her total fat mass. Hard work pays off! She showed up every week determined to make a change! We’re so proud to showcase her accomplishments and be a part of her transformation. Congratulations! This entry was posted in News on September 12, 2018 by Athletes' Training Center. 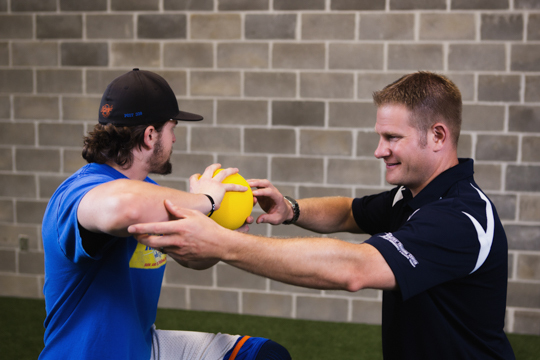 Last year you helped us claim the title as THE BEST physical therapy clinic in Sarpy county! We are looking for a repeat victory this year. Once again, we are in need of your help! best physical therapy clinic for the Sarpy County People’s Choice Awards! 2. Select the “Medical” category. 4. Cast your vote for Athletes’ Training Center! *It will ask you to register your email to vote. Voting instructions and other categories can be found on their website. Voting is open now until September 12th. This entry was posted in News on August 16, 2018 by Athletes' Training Center. For two months 14 people committed to the Summer Challenge and stayed focused on making changes in their lives. To say we are proud of every participant’s effort would be an understatement. 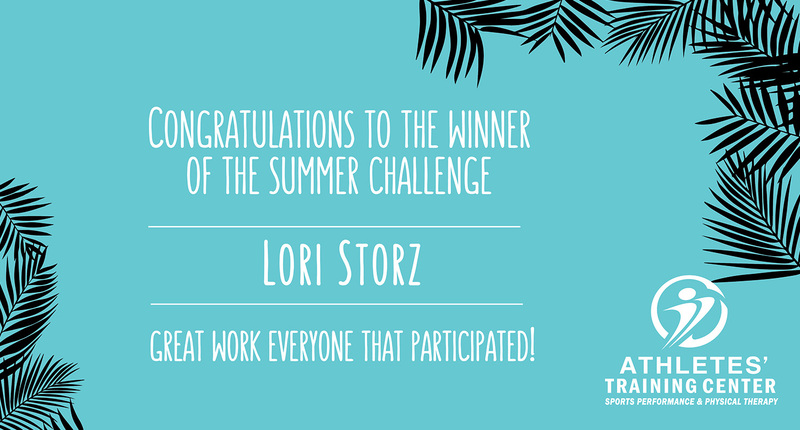 Congratulations to Lori Storz, the overall winner of the $500 grand prize package! “We all know that organ donors can save lives, but tissue donors increase the quality of life for their recipients, as well. That’s the story of 18-year-old Kris Kodat. 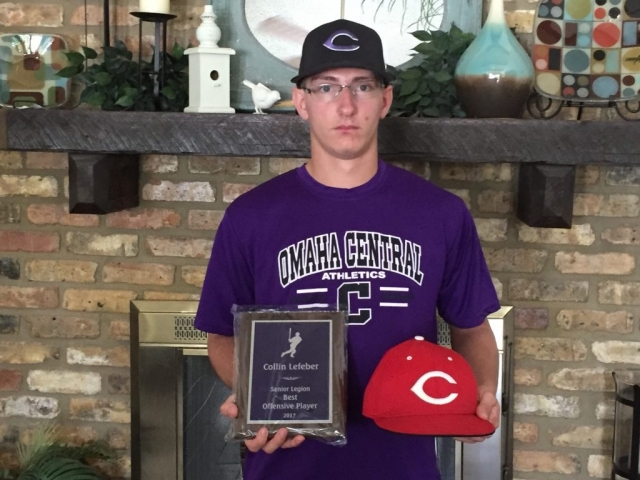 He is ready to start college at the University of Nebraska Omaha in a couple of weeks, but what he’s most excited for is his newly obtained ability to walk around campus pain-free. “It irritated me. Sometimes I couldn’t pay attention in class. When I got the surgery, it just felt a lot better,” Kodat said. This entry was posted in News on August 13, 2018 by Athletes' Training Center. Fall Block starts August 13th! Our highly qualified coaches invite you to seize the opportunity and reserve your spot today! 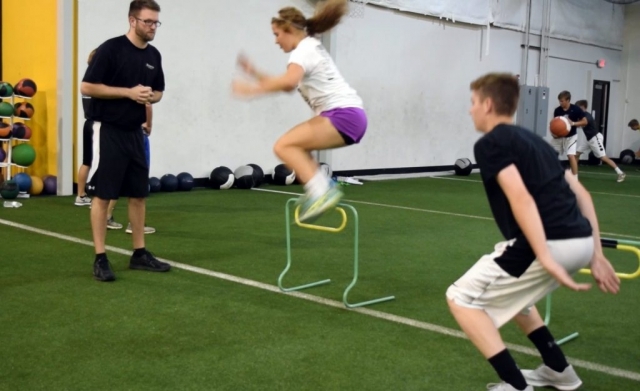 We train with a semi-private coaching model allowing our athletes to see enhanced results because of a more competitive (yet fun and positive) environment. Our Summer Block begins May 15th. This entry was posted in News on July 31, 2018 by Athletes' Training Center. You’re Invited to our Summer Celebration! Stay cool this summer by enjoying a shaved ice treat on us! 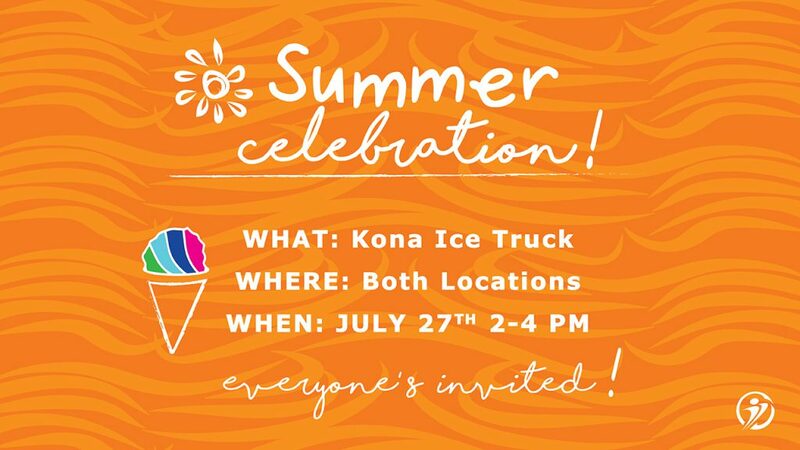 We will host Kona Ice Truck and provide FREE SHAVED ICE in the parking lot of both Athletes’ Training Center locations. We hope you enjoy this treat from our crew, as we will never forget that YOU are why we do what we do. Members and patients are welcome to stop by and bring your friends too! See you Friday, July 27TH. We look forward to celebrating our appreciation for YOU with YOU! This entry was posted in News, Events on July 16, 2018 by Athletes' Training Center. 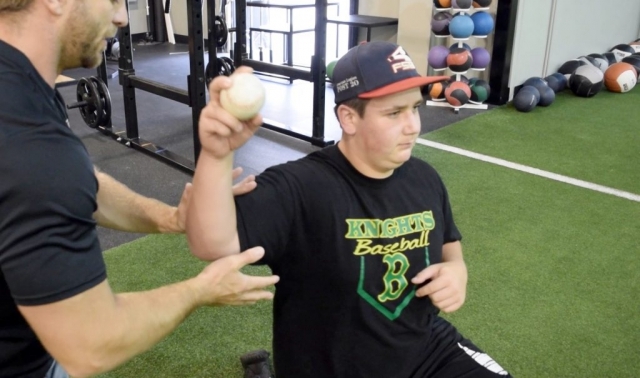 We interviewed our Complete Game athlete Collin Lefeber and his father, Steve. They shared their experience training with our coaches and also talked about Collin’s personal baseball journey. Collin grew up watching his brothers play baseball and ever since he can remember it was his dream to play ball in college. His father was also a baseball player and his coach for many years. Collin was born 8 weeks premature and weighed just 2 lbs. Because of this, he had to overcome a lot of obstacles in his life due to his ability to grow. He never let it hinder his arduous work ethic or stop him from achieving his number one goal. He continued to play baseball growing up and was the second baseman for his high school team at Omaha Central. While there, he received NCAA Nebraska All-State honors. Today, he is a student-athlete at Central College Dutch in Pella, Iowa. We will continue to watch his career unfold. We are so proud of his determination and inspiring character as he was truly a pleasure to train and work with! 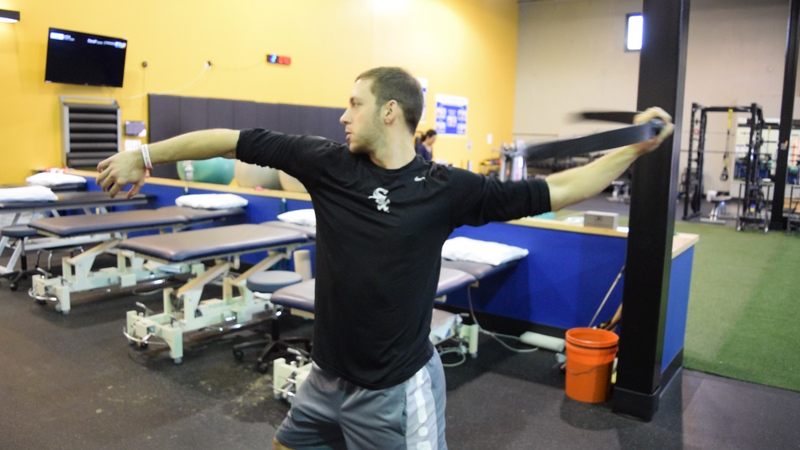 Steve, why did you and Collin choose to train at Athletes’ Training Center? When Collin was getting recruited he needed to boost his strength, speed, and body size. We needed a program to help him make all the improvements necessary to help him reach his goal to play ball in college. 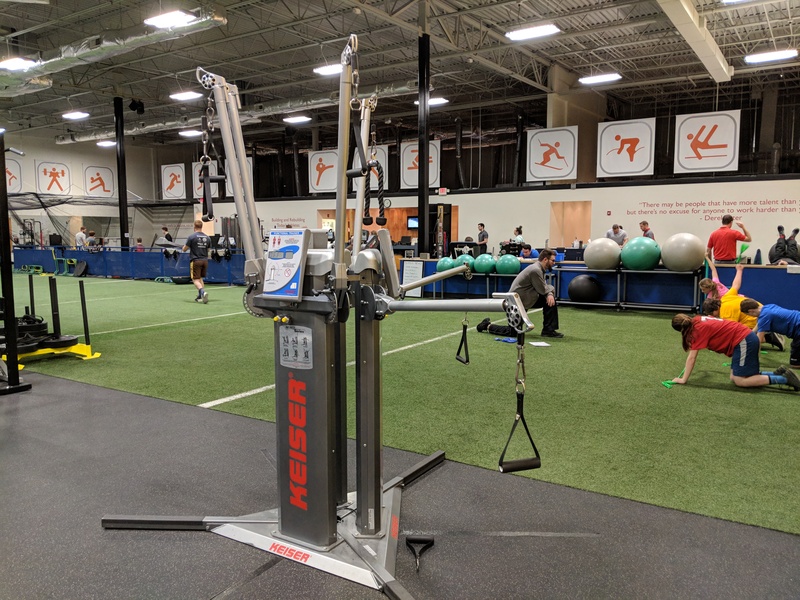 Collin had heard about Athletes’ Training Center through a connection at school, so we decided to give it a try. 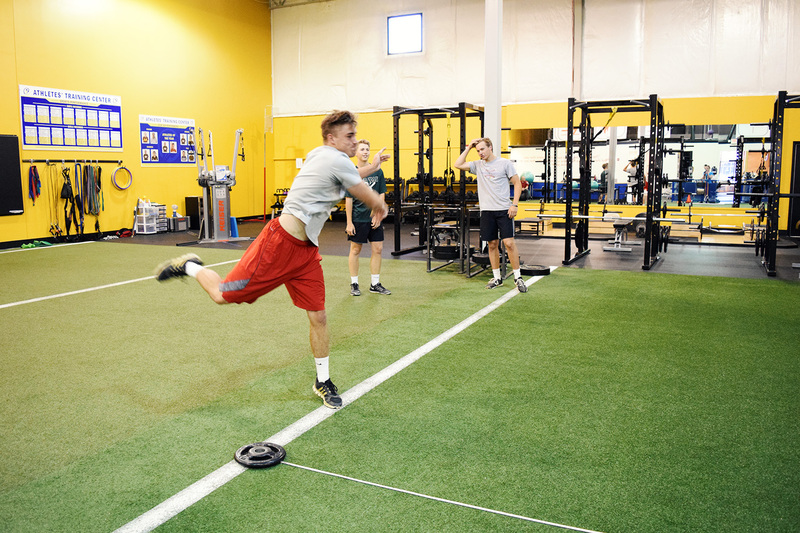 Collin what were your goals training with us, and do you feel you have achieved those goals? Yes, I have. I wanted to get stronger and faster and through the tests, we have performed here I could tell the program was working for me. I was hitting balls harder and farther. I was also getting to balls quicker and stealing more bases. The hard work has paid off for me. 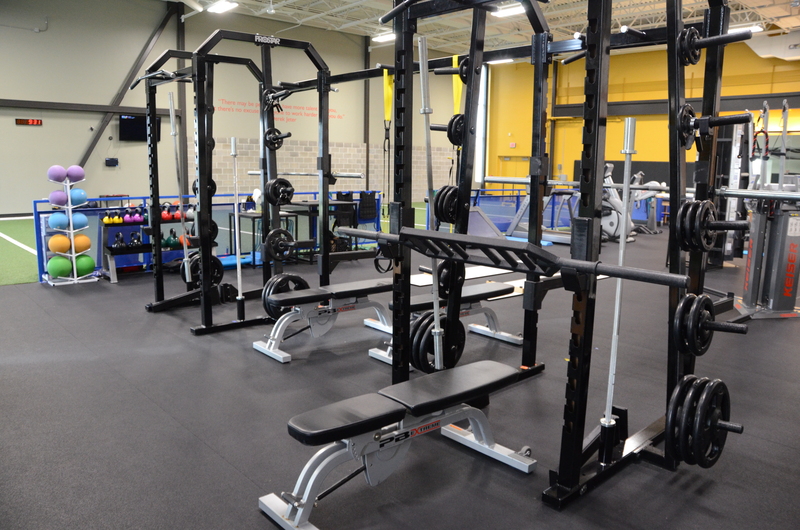 What would you want to say to anyone who is considering training at Athletes’ Training Center? Every athlete I’ve met in here has been determined to get stronger, faster and just become an overall better athlete for whatever sport they are in. Every session the coaches motivate you to do your best and know when to push your limits. This is a good place to come and get better because all the athletes are serious about it here. The Complete Game program is specific for baseball and softball players looking to advance the level of their game through sports performance training with a focus on injury reduction. This entry was posted in News on July 3, 2018 by Athletes' Training Center. 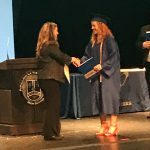 Ollie & Hobbes, Premier Family Medicine) and the Papillion-La Vista Schools Foundation presented a total of $10,000 in scholarships ($2,000 each) to some very deserving Papillion-La Vista South seniors. (right photo) Danielle Kleber presenting Hannah Holles with the Midlands Place Athletes’ Training Center scholarship. 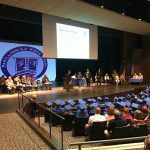 Congratulations to all of the students honored at Papillion-La Vista last evening. 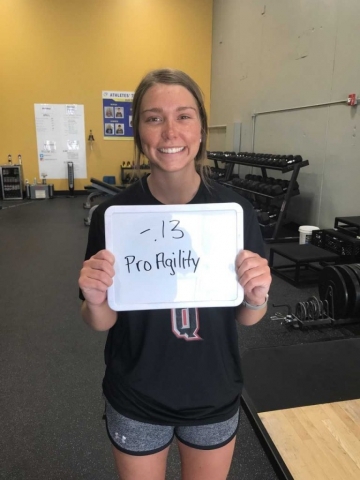 This entry was posted in News and tagged scholarship, south, midlands, high, place, school, papillion on May 3, 2018 by Athletes' Training Center. 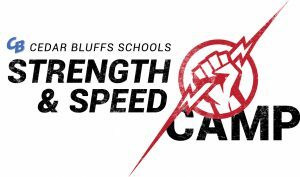 Cedar Bluffs Schools are excited to host a 2-day Speed & Strength camp powered by Athletes’ Training Center March 24th – 25th, 2018 at Cedar Bluffs High School. 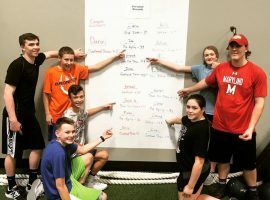 Athletes of all sports aged 4th grade and up can participate in training sessions to experience professional coaching and programming in the area of strength and conditioning and athletic development. Athletes will be able to participate in two training sessions – one on Saturday and one on Sunday. 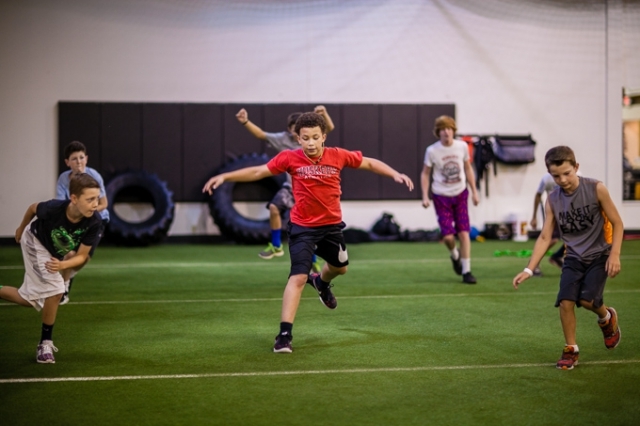 They will be challenged in the areas of body control, speed, strength, power, agility, and endurance. Each session will last one hour and will be coached by the performance staff of Athletes’ Training Center at a ratio of one coach to 12 athletes. To learn more and to register, click on the button below. This entry was posted in News, Events on March 12, 2018 by Athletes' Training Center. If you are or have signed up to receive “text message” reminders for your physical therapy appointments our system is currently NOT working. This means the appointment reminders are not being sent out. We are currently working on fixing this issue. If you have any questions or concerns about your next appointment please feel free to give us a call. This entry was posted in News on February 26, 2018 by Athletes' Training Center.